Andy and I visited the ancient Mayan ruins of Tikal in Guatemala about five years ago which was was several years before I started this blog so as yet I haven’t written about it. 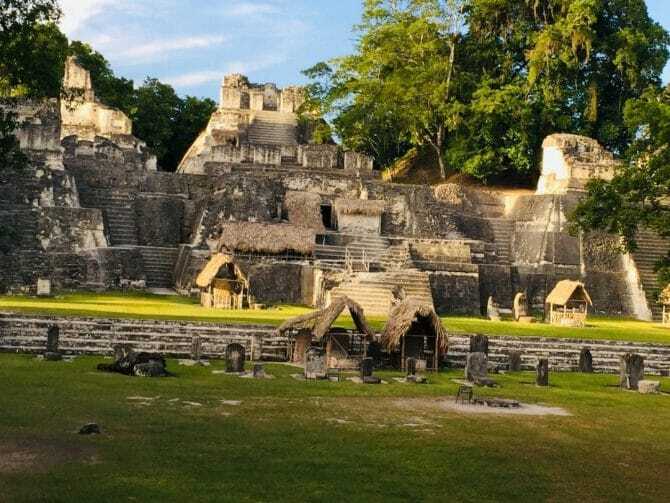 Although we’re due to return to Guatemala soon we probably won’t revisit Tikal as there’s so much more to see, instead Eoin from DollysQuest has written this guest post for me all about Tikal, including the practicalities and logistics. Tikal in Guatemala northeast is a UNESCO World Heritage site and one of the biggest draws for travellers venturing through the country. Its proximity to Mexico and Belize make it an ideal stopping off point. The history of the location itself is incredible even for those who aren’t history buffs. 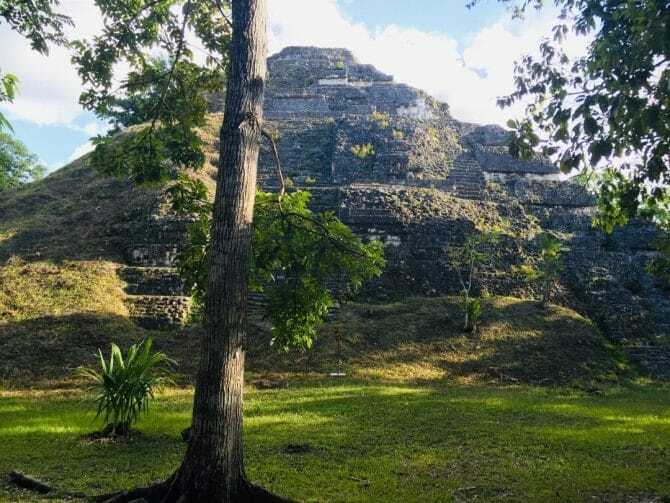 An ancient city hidden from the outside world for centuries, the story of Tikal has ony started to come to light as excavations and research continues on this Mayan site. I had the pleasure of visiting Tikal during my trip through Central America and it remains one of the highlights. It’s thought that the building of the oldest structures at Tikal began around 400B.C. The site grew and became an epicentre of Pre-Colonial life until the 10th century when the Mayan culture began to collapse throughout Central America. The site was used for worship, farming and as a communal base for the Mayans in the region. The purpose of many of the structures was to please various gods – represented by figures such as jaguars, the sun, and the moon. Some buildings included sacrificial alters and housed royalty and artwork. Hieroglyphs recoded wars with opposing groups and some of the history of the people. 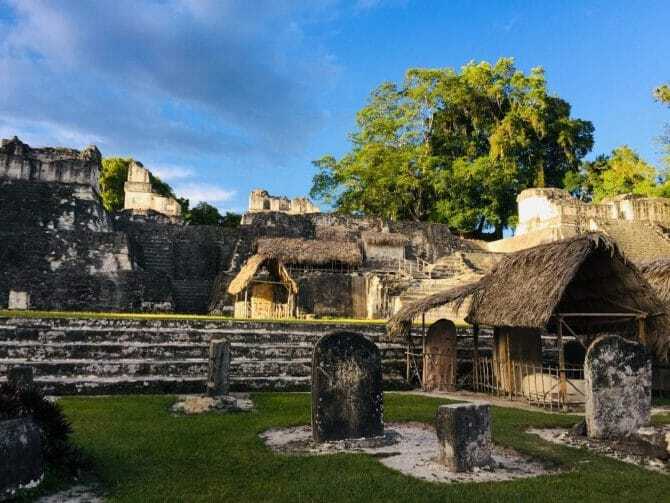 There’s evidence that Tikal had a major impact on other sites such as El Mirador and Chichen Itza both through politics and social changes which occurred throughout the Mayan world. 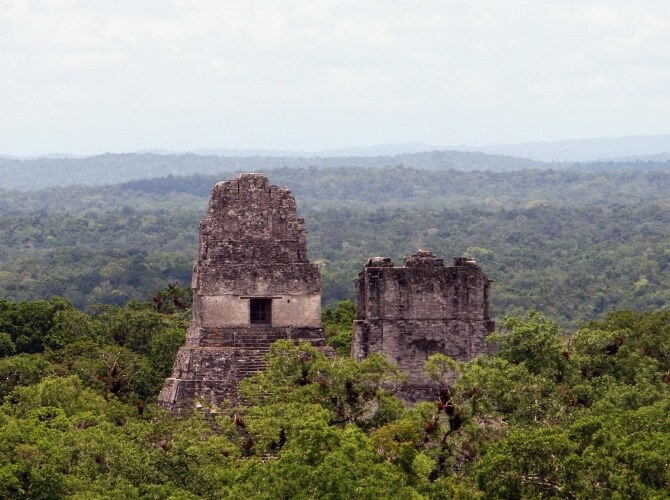 Although the reason for the eventual decline of Tikal is not completely known, many experts blame overpopulation and incursion from rival communities. 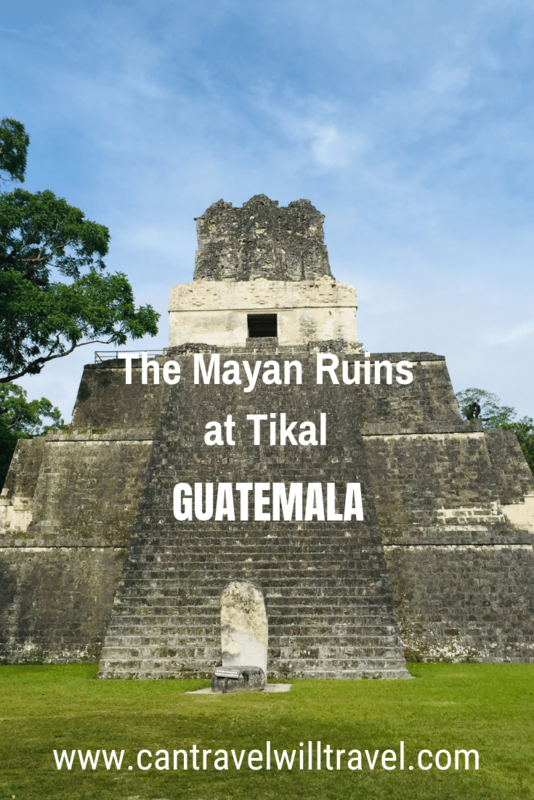 Our guide believed that it was overpopulation which caused the collapse of Tikal. He described the limited agricultural advances and overhunting of animals in the region. With the population of the area estimated between 10,000 and 90,000, this is the most plausible explanation. Nonetheless this is hard to believe when you see how the jungle has swallowed up the buildings. There’s basically two ways you can visit Tikal, either as part of a group tour, or independently if you prefer to go it alone. 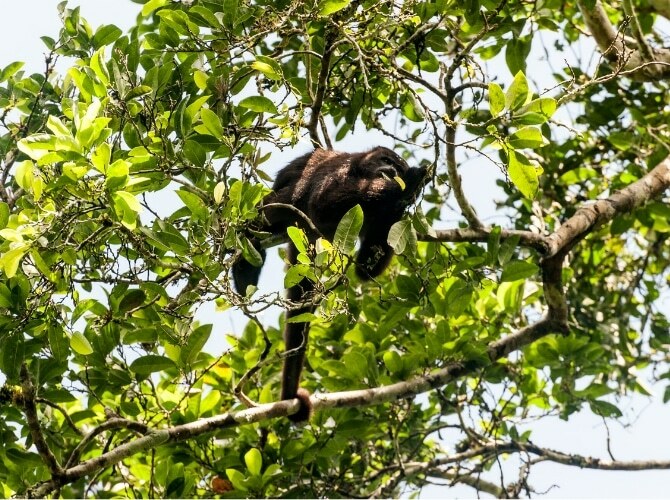 If you are part of a group such as Tucan Travel or similar companies, Tikal will likely be one of the major stops on your organised Guatemala or Central America visit. All you need to do is sit back, let them do the planning and enjoy your trip. If you are travelling solo as I was, or with friends but independently (not on an organised group tour) then you’ll need to organise travel to Tikal yourself. Not to worry though as it’s quite easy to arrange. There are three main options: either a day trip from Belize City or San Ignacio in Belize,or a day trip from nearby Flores city. 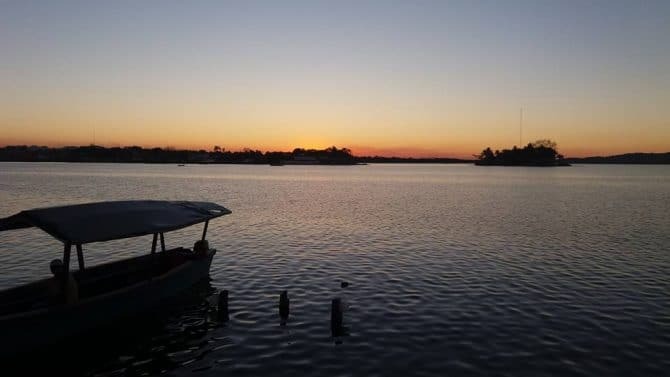 Of course, you could also combine options and travel from Belize City or San Ignacio, then overnight in Flores and do a day trip to Tikal the next day. If you are coming from Belize I’d recommend doing it as an overnight trip. You’ll be less rushed and can see both sunset and sunrise at Tikal, which are two completely different experiences. If you’re travelling to Tikal from Belize or San Ignacio, the first step your trip is to get yourself to the border. From Belize City – you’ll need to catch a public bus from San Ignacio to Benque Viejo Town Terminal, the last town before the border. From there you can either walk, taxi or hitchhike to the border, a taxi should cost about 10 BZD ($5 USD). If you plan to overnight at Flores you can catch the direct express bus service run by Fuente del Norte (Mundo Maya Travels). It departs froom the Marine Terminal near the swing bridge, takes roughly five hours and costs about 50 BZD ($25 USD) one way. From San Ignacio – the most convenient way to get to the border is by taxi which you can get at any taxi stop, just make sure it has ‘DCO’ on the license plate. It should cost about 10 BZD ($5 USD). Border Crossing – once at the border you’ll need to cross over into Guatemala by foot, leaving Belize by passing through Belize immigration. If you’ve been in Belize for more than 24 hours you’ll need to pay a 40 BZD ($20 USD) exit fee.You then need to pass through Guatemala Immigration and Customs to get your Guatemala entrance stamp, before entering Guatemala. Taxi or Colectivo to Tikal – the last stretch of your journey to Tikal will be by taxi or colectivo. Most convenient but more pricey is a taxi which will cost around 300 Quetzals ($40 USD), you may find other travellers to share this with. Alternatively you could jump in a colectivo which can be found parked up just down the road on the right. Take a colectivo to El Cruce for about 30 Quetzals ($4 USD) and then a second colectivo to Tikal for about 25 Quetzals ($3 USD). If you’re basing yourself in Flores which is about 1.5 hours from Tikal you have two options of how to visit Tikal. You could book a tour organised from your accommodation or one of the small tour operators dotted around town. Most of these also give the option of including a guide, snacks and water etc., however they don’t generally include the entrance fee to the national park. How good our guide was is up for debate as he may have elaborated some of his stories for the entertainment factor. Such as the one about the site being discovered by locals climbing trees for rubber. Despite this, he did take us to the important sites and his explanations seemed to be mostly accurate. We covered more ground and gained more insight than I would have had I gone solo. We took the bus back to Flores at around 1.00 pm. This was perfect as the heat and humidity would have made walking in the jungle quite unpleasant. From talking to other groups, I believe most of the tours from Flores are very similar besides language and food options. Should you choose to visit Tikal independently it’s fairly easy to arrange. You’ll need to buy your bus ticket the night before at your hotel or from one of the tour operators in town. This is also when you’ll need to reserve a tour guide if you want one as you can’t do this on site. A round trip bus ticket without a guide should cost about 80 Quetzals ($11 USD) and with a guide about 120 Quetzals ($16 USD). Don’t forget if you want to be there for sunrise you’ll have to have a guide. The meeting point for the buses is at the boat docking area from where it will take you the hour or so drive to the ticket booth at Tikal which opens at 6 am. A ticket costs 150 Quetzals ($20 USD) each and you need to show your passport. Ticket in hand, it’s back on the bus for another 20 minute ride to the entrance. Remember where you get off the bus as this is also where you’ll need to get the return bus and also double check return bus times. At the main gate your ticket will be checked and you’ll be given a wristband – then you’ll be free to explore the site at your leisure. If you are staying in Flores for a couple of days like I was then you’ll find quite a few activities to pass your time. There’s a small food market each night by the water which is easy to find on this tiny island. There are also several bars and hostels which cater to backpackers and visitors to the area. These enable you to spend your time socialising and dancing the night away with friendly locals. During the day you could visit Tikal again or you can take a small boat ride to Jorge’s Rope Swing. This is run by an enterprising local who turned a few rope swings into a small business. This is a great way to expel some energy and kill a few hours during the day. You can also take a relaxing boat ride or Kayak around the lake that surrounds Flores. If you plan to spend longer in Flores you could also consider studying Spanish whilst your’re there. 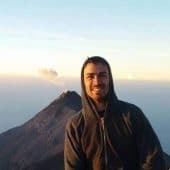 You’ll find Guatemala is one of the best and cheapest countries to study Spanish. Flores has a few hostels and plenty of guesthouses and other accommodation. You can book these online or find them by walking around the colonial streets. With a little bargaining, it’s easy to find an affordable place to stay. 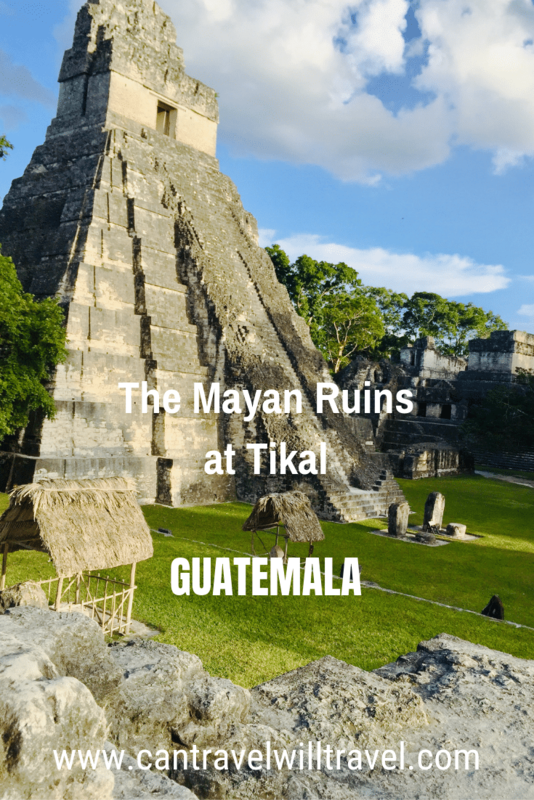 Have you been to Tikal in Guatemala or any other ruins in Central America? If so tell us about it in the comments below. Great read! 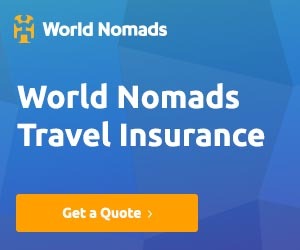 How does it rank in the list of places you’ve traveled? Is it a top tier destination for you? I’ve got so many places I love but this is definitely towards the top of the list! South and Central America have been figuring into my travel plans for some time. This is definitely on the list! I can highly recommend South America as I spent 15 months there 12 years ago and absolutely loved it! Keep an eye on/ subscribe to the blog for new Central America posts coming up from June/ July onwards as we’ll be spending 4 months travelling through all the CA countries!